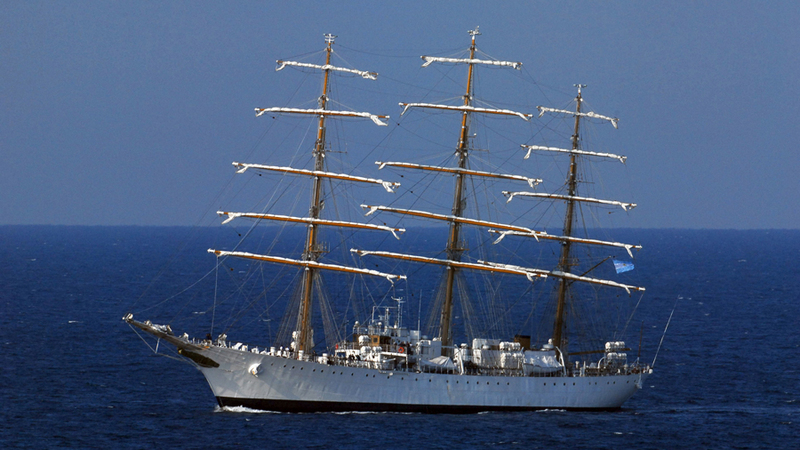 The Argentinian navy tall ship Libertad has sailed into Dublin port for the weekend. She is docked at Sir John Rogerson’s Quay and will be open to the public for visits. The tall ship is the ninth ship to carry the Libertad name, which means freedom in English, and was launched in May of 1956. She is used as a training vessel and is currently on a 196 day long voyage around the globe and having already stopped off in the US, Brazil, the Netherlands, France and the UK. Once they leave Dublin they will continue on to their next port of call in Spain. This trip is part of the last year of training for the recruits but also marks the 200th anniversary of Argentinean independence. 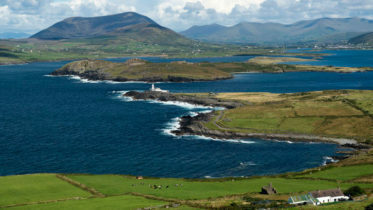 The Argentinian Navy has a strong connection with Ireland. Admiral William Brown, known as the “Father of the Argentinian Navy” was an Irishman and is a hero to the Argentinian people. 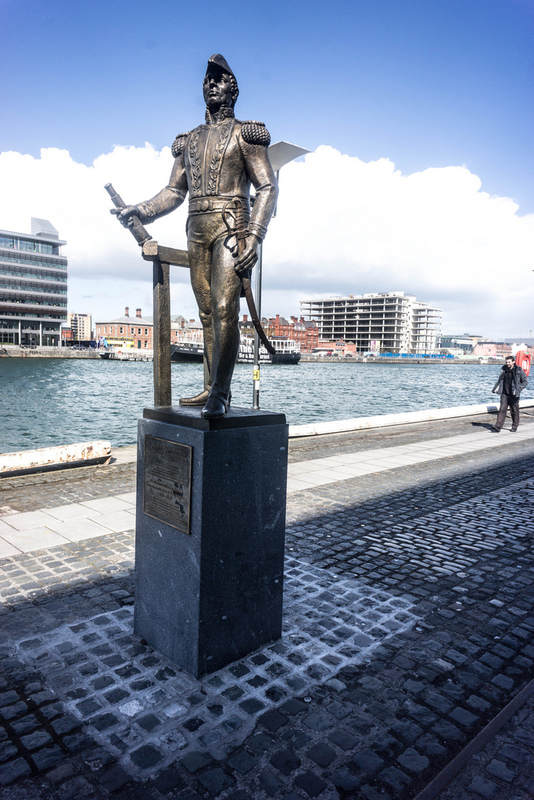 Born in Foxford Mayo, he immigrated to America at a young age and became a skilled seaman and trader. During Argentina’s fight for independence from Spain in the 1800’s Brown offered his services to help and despite his lack of military training proved to be an astute naval strategist and won several significant battles. In 1814 he struck a decisive blow against the Spanish fleet and cleared the way for Argentinian independence. In Argentina he is revered and many streets, place names and football clubs are named after him. Back in Ireland we also have monuments to this great man. Right beside where the Libertad is docked there is a monument that was unveiled in 2006. The captain and some of the crew of the Libertad will travel to Foxford County Mayo, Brown’s hometown on Friday and there will be a wreath laying ceremony at the Admiral Brown bust and will visit the recently opened Admiral Brown Promenade. 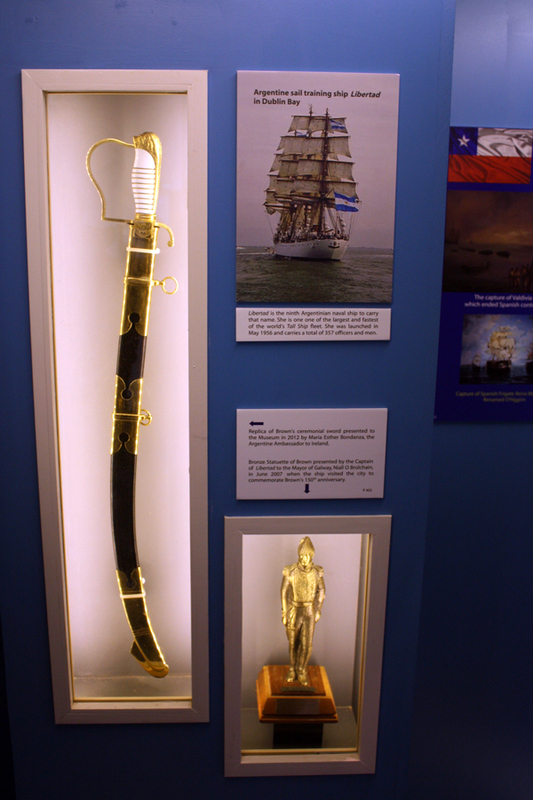 Since the mid 1980’s Admirals in the Argentine Navy have worn replicas of Brown’s sword. One of these replicas is currently on display in the National Maritime Museum of Ireland in Dun Laoghaire. The ship will be open to the public from 10:00 am – 5:oo pm on Thursday and Friday and from 10:00 am to 6:00 pm on Saturday. There will be tours of the historic ship as well as demonstrations and a art exhibit about the Argentinian culture. We went along to check out this beautiful ship take a look at the video below.